Hot Sale Automatic Fried Food Flavoring/Seasoning Machine-A good helper for your choice. The fried food flavoring machine enjoys great popularity in the food processing industry. It is used for flavoring all kinds of fried food, such as peanut, soybean, fruit chips, potato chips, etc., which makes the fried food more delicious and tasty. Up to now, this fried food flavoring machine is the most advanced seasoning machine around the world. 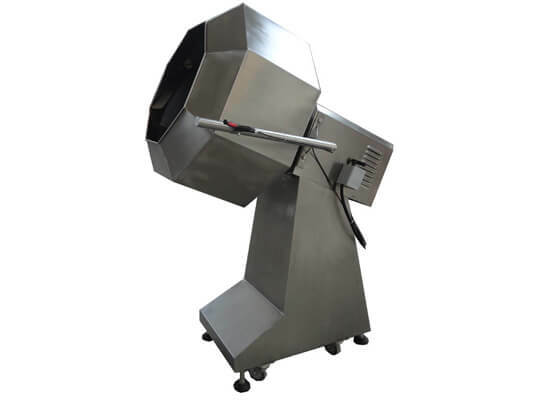 Fried food seasoning machine is widely used in food processing factory for seasoning and mixing all kinds of food, such as chips, french fries, fruit brittle, fried food, puffed food, snack food, leisure food, and so on. Amisy can provide you with different models and types of fried food flavoring machine with high quality and competitive prices. It definitely will be an ideal equipment to help your food processing business.